Arthritis is one of the most common issues among elderly adults. In fact, approximately 50 percent of older adults over the age of 64 are suffering from one of the 100 types of arthritis. 30 percent of those living with arthritis state their condition negatively impacts their quality of life and their daily functioning. This can not only be challenging to them physically, but it can also be emotionally stressful and upsetting. Making meaningful modifications throughout your parent’s home that help them to manage these challenges and continue to handle as many of their daily tasks on their own can reduce this stress, improve your parent’s functioning, and support a better quality of life as they age in place. 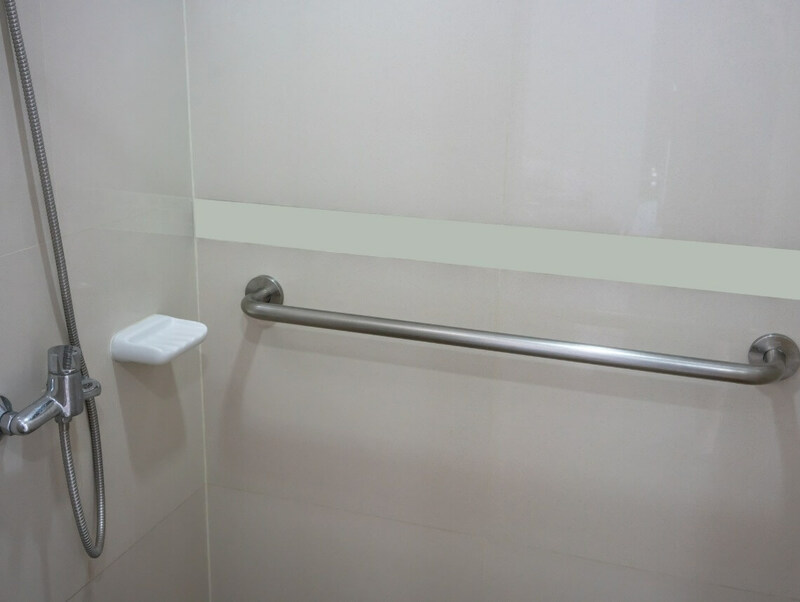 Ensure there are grab bars throughout the room they can use to support themselves as they navigate the room and get in and out of the bath. These bars should be properly installed and rated to handle your loved one’s weight. Climbing into a bathtub can be challenging for an elderly adult who has arthritis. Reduce this strain and help to prevent falls by installing tub steps. These reduce the distance they need to step up and step down when getting in and out of the bath or shower. For those seniors who are dealing with arthritis in their hands, squeezing bottles of shampoo, conditioner, or body wash can be too strenuous. Product dispensers attach to the wall and allow your parent to dispense the proper amount of product with only a press of a handle. Turning, twisting, bending, and lifting their feet can be very difficult for a senior who is suffering from pain, swelling, stiffness, and loss of range of motion in their joints. Sponges on handles allow your parent to wash themselves more easily. Starting home care services for your aging parent can be one of the most nurturing, caring, and meaningful decisions you can make for them throughout the course of your caregiver journey with them. Particularly if your elderly loved one is suffering from a chronic condition such as arthritis, an in-home senior care services provider can create a highly personalized set of services tailored not just to their individual needs, services, and challenges, but also their personality, beliefs, and goals. This means they are able to address their issues related to their arthritis and stay safe, healthy, and comfortable, while also helping them to maintain a lifestyle that is as active, engaging, independent, and fulfilling as possible as they age in place. They can accomplish this by helping your parent to understand the challenges they are facing as well as the instructions, guidelines, and prescriptions given to them by their doctor so they can make better lifestyle choices, remain compliant with their prescriptions, and keep their mental and emotional health high so they are more motivated to pursue the quality of life they desire and deserve.